I just noticed that my friend Donna Lange (see previous posts) was pictured on the cover of Ocean Navigator Magazine last month. 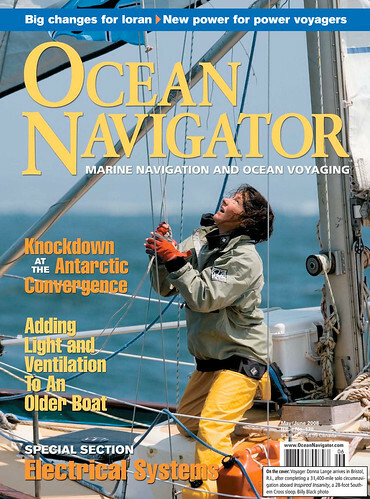 The photo was taken as she was heading into Bristol, Rhode Island after completing a solo circumnavigation aboard her small 28 foot sailboat ‘Inspired Insanity’ in the spring of 2007. Way to go Donna!